From September 15th until October 15th, Les ânes de Madame propose a outing in the forest on the Cheverny estate to discover the stags roar with friends or family. Two hours deep in the heart of an enormous forest renowned for its flora, fauna and stags. In the company of an animal who is very sensitive to his environment, your donkey will enable you to discover nature in a different way and to enjoy a unique experience as well as unforgettable sensations. At a leisurely donkeys pace you'll be able to observe the stags and does and listen to and better understand the rutting ritual. 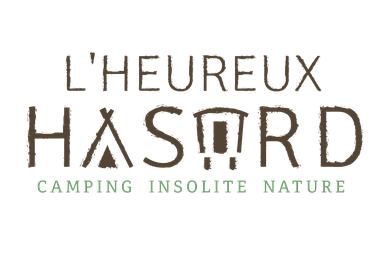 The trip will be managed by Laurent Clamens, forest gamekeeper, you'll benefit from his 23 years of experience on the estate, he loves sharing his passion for the forest. All year long he takes care of the flora and fauna in a unique forest in Sologne; the Cheverny forest. He knows "his stags and does" off by heart ... Anecdotes, memories and true stories are what you can expect during this authentic and one of a kind evening. Under the light of the moon, locally sourced (Cheverny) products will be showcased during a tasting, to round off the evening. *children under 4 years of age and depending on accommodation. Continue this nature themed break during a weekend. 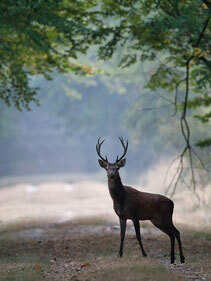 The L'Heureux hasard campsite welcomes you at the edge of the forest in Cheverny and close to the stags. Close to your caravan, cabin or trappers tent, gather around a campfire to taste some local specialty foods. Then, drop off to sleep lulled by the sounds of the forest and the stags roar. * This outing can be cancelled at any time by les Anes de Madame due to unfavorable weather conditions or because of the game season calendar. Should this occur, you will be fully reimbursed. Make the most of a free day and visit the Loire Valley, its prestigious castles, Chambord, Cheverny or Blois, take a trip on the river in a traditional boat, or for a special treat take your children to Beauval zoo. (visits and bike rental are not included in the above price). at the heart of Sologne! Every Friday and Saturday from 5.30 p.m. to 7.30 p.m. Hike recommended for children from 3 years upwards. We give priority to small groups, booking is required. Bring hiking shoes ans clothes suitable for the wether.